2016 North Americans! 2015 PanAm Games! 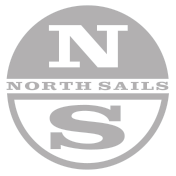 North Sails Snipe Hull cover is handmade to the highest quality standards. Constructed using rugged premium 12 oz polyester 900D fabric, this hull cover will give you piece of mind when storing your Snipe or taking it on the road. Our Snipe Deck cover is constructed using rugged premium 12 oz polyester 900D fabric, giving you piece of mind when storing your Snipe or taking it on the road. Snipe daggerboards are heavy and have sharp edges. This cover is meant to protect these foils. We use heavy 12 oz. 900D fabric over closed cell foam, which means you can accidentally drop your board without damaging it. The North Snipe rudder cover is fully padded to keep dings and scrapes off your valuable rudder. The cover fully encloses the rudder with buckles and webbing at the top. Our Snipe mast cover is hand made to the highest quality standards. Constructed using rugged premium 12 oz polyester 900D fabric, the mast cover will give you piece of mind when storing your Snipe or taking it on the road.